Interim Manchester United manager Ole Gunnar Solskjaer is already relishing the chance to take on Paris Saint-Germain in the Champions League. The Red Devils were drawn to face the French club in the last 16 on Monday - 24 hours before they announced the departure of Jose Mourinho from Old Trafford. PSG topped their group ahead of Liverpool and Napoli and, led by the forward trio Edinson Cavani, Kylian Mbappe and Neymar, they have high hopes of progressing deep into the knockout stages. 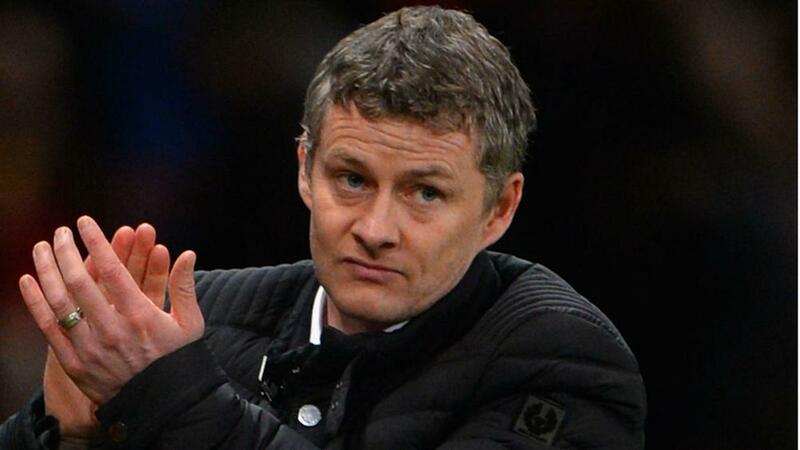 Yet Solskjaer, who has arrived from Norwegian side Molde to take charge until the end of the 2018-19 season, hopes United can rise to the challenge in the two-legged tie, with the first leg in Manchester on February 12 before the teams meet again in Paris on March 6. "You know, that [the draw] was on Monday. I was watching, not knowing about what was happening here [at United]," Solskjaer told MUTV in his first interview since taking charge. "You think, 'PSG, what a fantastic chance'. Those are the special nights at Old Trafford, the floodlight nights, like the manager [Alex Ferguson] always talked about. "You've got top talents to play against and our great talents. Great players to play against when you've got Neymar, Mbappe and Cavani - those types of players. Those are the nights when Manchester United comes to the fore. "I can't wait for it, but we've got many more games before then. "We want to build a foundation now and go into the game against PSG with confidence. If we can do that, great." Before he can focus on going up against PSG, however, Solskjaer must first try and help United move up the Premier League table during a busy festive period. First up is a trip to former club Cardiff City, though the 45-year-old feels he is "on the right side" this time after sitting in the away dugout when the Welsh club visited Old Trafford in January 2014, a game the hosts won 2-0. "We're playing for the supporters, we're playing for our pride, we're playing for the club's history, but, to be honest, it's going to be very, very special, I have to say," he said. "I'm good at controlling the emotions so I won't be that emotional but, when I came back [to Old Trafford] with Cardiff in 2014 … it was a strange, strange feeling. One of the most surreal feelings I've had, being on the other side. "Now I'm on the right side and I can't wait for it."